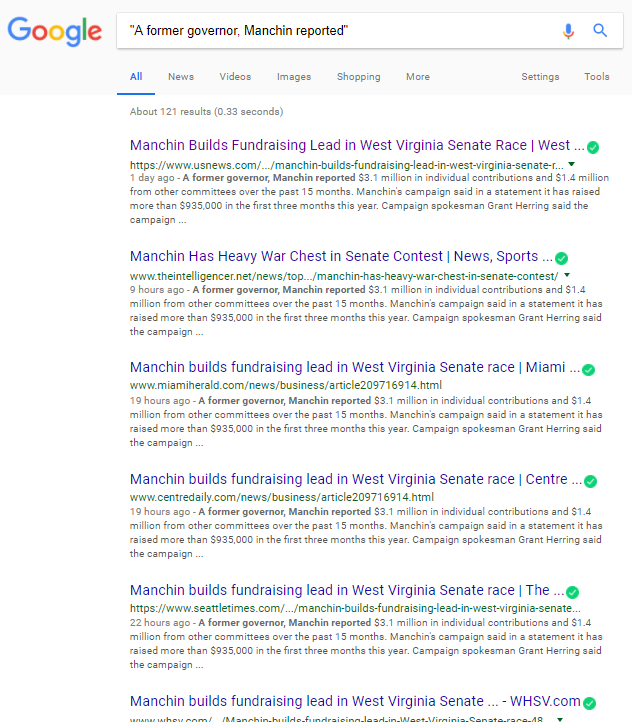 Compare the two headlines: The AP's is a statement of fact based upon verifiable information while the Intelligencer's is subjective (what "heavy" means) while using biased language (Manchin doesn't have "campaign funds," he has a "war chest"). Research has demonstrated again and again that most readers never get past the headline and that works to the Intelligencer's benefit. My first post on this blog over four years ago was about a biased Intelligencer headline. Those biased headlines haven't gone away and if anything, they appear to get worse during election years. I'm sure we will see more.